Sugar is one of the most powerful food additives. We love sugar and it is one of the foods that we really have a hard time to give up. Especially when it comes to weight loss. We are so used to add sugar or other sweeteners to pretty much any type of food. Moreover, if you look at all processed foods almost all of them will have sugar as the main ingredient. Why? Because once again we love sugar. So if sugar is so widely used, is sugar healthy for you? Nowadays a lot of people are concerned about their health and weight, in particular. Most of us are trying to cut off on sugar. The food industry even created foods advertised as diet ones substituting sugar with some other additives. Though are those additives are any better than sugar itself? But before we answer these questions let’s see if sugar is healthy for you. Sugar is a carbohydrate consisted of atoms of carbon, hydrogen, and oxygen. It can be found in most plants, but the most concentration of it is in sugarcane and sugar beets. White sugar is an extremely processed food that by the time it is finished, it no longer has any nutritional value. Some people prefer to buy raw or brown sugar as a healthier option to the white ‘table’ sugar. It is a healthier option in the way that it has been minimally processed. It has a higher moisture and molasses content and it is crunchier compared with the white sugar. And because this type of sugar is less processed it has a better balance of glucose, sucrose, and fructose, where the white sugar mostly contains sucrose. Some people advocate buying this type of sugar claiming it as a healthier option. We all know that fruits contain a lot of fructose. When we eat fruits it provides us with energy and sweet taste. But because fruits also contain fiber, fructose itself does not boost our blood sugar to dangerous levels. On the other hand, commercially sold fructose is a synthetically derived fructose from sugar cane, sugar beet, and corn. And because it has been extremely processed similar to the white sugar, it can hardly be named as a healthier option. How Much Is Sugar Enough? The best recommendation would be none. Sugar is a very powerful additive and it is very hard to limit yourself when you start eating it. Moreover, mostly all processed food has sugar in it whether it is bread or even ‘fruit’ yogurt. The amount of sugar we are consuming through the day without even noticing it is extremely high. If you need a little of sugar in your diet, add raw honey, 100% maple syrup or stevia extract in your cooking. Another thing to watch out is that sugar increase hunger. 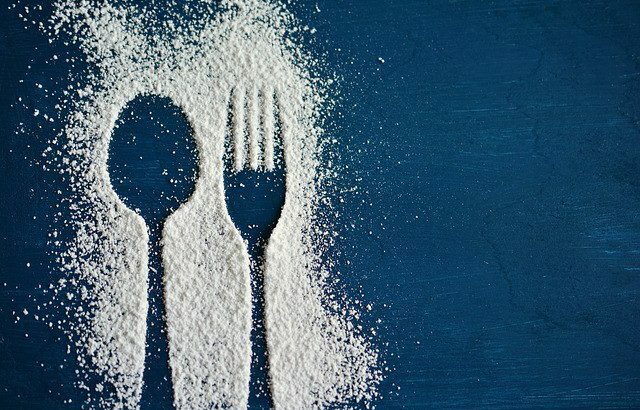 So if your goal is weight loss you definitely would want to cut off even these types of sweeteners including fruits or consume it in the first part of the day in order not to trigger more hunger. However, if you cannot say no to the sugar, here are some World Health Organization guidelines regarding the sugar consumption. It is recommended to consume only 5% of ‘free’ sugars out of the daily calorie intake. As of the numbers it is approximately 30 grams of sugar for adults (approximately 7 sugar cubes) and 19 grams for children aged 4-6 years old (approximately 5 sugar cubes) and no more than 24 grams (approximately 6 sugar cubes) for children aged 7-10 years old. Why Is Sugar Not Healthy For You? If you are very active and exercise regularly having some sugar in your diet is not a problem as it fuels your muscles and brains. However, the problem is that a lot of foods we are eating have added sugar. A sugar intake causes our blood sugar level increase, giving us a ‘sugar boost’ followed by a blood sugar level crash which causes us feeling tired and craving for more sugar. This sugar cycle is the main cause of weight gain, diabetes, and health disease. That is probably not news to you that constantly increased sugar consumption will increase your weight. People who consume sugar-sweetened beverages tend to weigh more and are at a higher risk for type 2 diabetes. Moreover, some studies showed that people who increased their sugar consumption gained almost 2 lbs in less than 2 months. Sugar can also trigger so-called leaky gut symptoms. Scientists found that sugar can change the gut microbiota that can cause leaky gut symptoms. What it also means that constant gut inflammation can lead to the transfer of substances from the blood to the bloodstream causing obesity and other chronic diseases (1, 2). Added sugar is a great food for bad bacteria and yeast that can damage the intestinal walls and create a leaky gut. Eliminating sugar is a great way to treat leaky gut. As mentioned before sugar causes inflammation. Consuming a lot of sugar may increase joint pain because of the inflammation it causes. It will also increase the risk of developing rheumatoid arthritis. High-fructose corn syrup presented in most of the drinks and processed foods is our body’s main enemy. It causes the fat to be built up in the liver triggering the non-alcoholic fatty liver disease. According to the recent studies, this disease is presented in 17% to 33% of Americans (3)! This also increases the number of people suffering from obesity, insulin resistance, type 2 diabetes and metabolic syndrome. Another research showed that people who consume one sugar-sweetening beverage a day face a higher risk of non-alcoholic fatty liver disease compared with the ones who do not drink any sugar-containing drinks (4). A lot of people will blame cholesterol for heart disease. However, it was proven in 2016 that the research blaming cholesterol for increasing the risk of heart diseases was actually sponsored by the sugar industry. Sugar lobby sponsored the Harvard researchers in the 1960s to take the target off sugar and turning the focus on naturally-occurring fats (5). This research concluded that in order to decrease the risk of heart diseases less cholesterol should be consumed and polyunsaturated fat has to be switched to saturated (6). It was proven that when we consume sugar, extra insulin can affect our arteries the way that their walls grow faster and get tense that adds more stress to your heart. This can lead to heart disease, heart attacks, and strokes. Researchers also suggest that eating less sugar can help to lower the blood pressure. Even though some of us have more or less sweet cravings, we all consume almost the same amount of sugar. The natural sugar in fruits increases hunger and the desire to have greater sweetness. The rule of thumb to find hidden sugars is to look for ingredient ending in ‘ose’ is a type of sugar. Sweeteners like cane juice, beet sugar, fruit juice, rice syrup, molasses are still sugar. The higher it is up on the ingredient list, the more of it is presented in the final product. 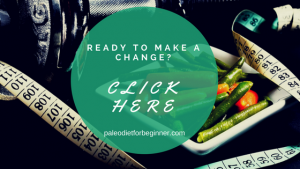 And if you are still struggling with sugar and starting the healthy lifestyle check over here and here on how you could start. Nutrition Facts health benefits of sugar, hidden sugar, is sugar healthy for you, sugar, what is sugar, why sugar is bad for you. permalink. I just came across your article, and I have to say I really enjoyed reading it. Lots of helpful tips in there. I am actually trying to cut down on my daily sugar intake, but that’s not going very well hehehe. I liked the idea of substituting honey syrup , sounds great. So is sweetener any healthier than sugar? Sugar is a very powerful additive, so it is really hard to give up it. But if you eliminate sugar completely for at least 30 days you will see a lot of health improvements. Moreover, your taste buds will adapt to the taste of real food and not sugary feeling. Once you did that you could add natural sweeteners like 100% maple syrup, stevia and raw honey in moderate amounts to your cooking. Commercially sold sweeteners, especially ending on ‘ose’ are not the healthiest choice. I used to eat a lot of sugar and i stopped a few month ago. I was tired all the time and i didn’t know why. Then i found out that carbohydrates slows down your blood like crazy. Since then, i stopped eating sugar and bread, and any kind of food that has a high amount of carbohydrates. I feel a lot better now, especially in the morning, i don’t feel like i’m doing to die if i need to get up. Thank you for sharing your personal experience! Sugar and gluten are two foods that are not the healthiest choice for our bodies for different reasons. Modern gluten is a hybridized version that contains protein that our body cannot digest causing inflammation and irritation in our guts. And if our guts are constantly irritated, we cannot digest food properly that ends up with obesity and multiple health issues. Sugar is a carbohydrate that triggers rollercoaster with our blood sugar level. Not to say that it also triggers inflammation in our guts. Eliminate these 2 foods for at least 30 days and you will see a lot of health improvements! Hi Anna, well said! I know that sugar is one of the deadliest killers of all time, even more than salt (that’s crazy) and is addictive just like a drug. I live here in the US, but I’m from Italy and the first time I read “high corn syrup fructose” among the bread ingredients I was very angry. Bread ingredients are a few and very simple: flour, water, a pinch of salt and yeast. So we make our own bread (or at least we buy the one with the healthy ingredients) and pizza. Then I started to read all the labels of the food I was about to buy and I noticed that US has a big problem with sugar addiction… It’s everywhere. They say it’s a conspiracy so that people addicted get sick and pharmaceutical companies can make money over them. But we have a choice to leave a healthy life, so let’s take it! A few years ago Italian people began to boycott products containing palm oil and as a result the big brands and smaller ones have started to replace it. We won our battle! It can be done here, too. It is very true that here in the US or Canada most of the foods contain sugar. Where I am originally from bread is bread without any additives added to it. Here is different. Food and Pharmacy industries are the biggest ones. No wonder why it is hard to fight with them face-to-face, but I agree that the more we educate people about their health and making the right food choices, the more chances we have to win the battle! Yes, sugar is our enemy! so addictive and hidden in many foods. Thank You for this education on sugar. The more we are educated about the food we eat, the better food choices we make. I try to stay away from sugar just for the fact that it is not good while I am trying to diet. I didn’t know about all these other downfalls to it. Wow, glad I pretty much am sugar conscious and don’t get a lot of it. I need to get my son to stay away from it more as well! I totally understand your fight for sugar with your son. 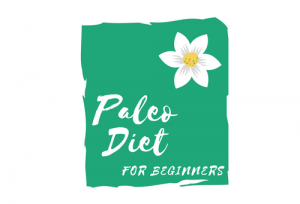 When we decided to go paleo with my husband, at first I was cooking 2 meals for us and another meal for kids. Slowly, kids started to be interested in what we were eating and actually were getting a bite of the food. At a certain point, I knew what foods they liked out of the healthy ones and slowly moved kids to paleo as well. There a lot of baking sweet alternatives too that you could start with to help your son with the transition. Check this chocolate chip cookies recipe. Wow, what a timely article. I have been really thinking about my sugar intake recently and how to limit it. I didn’t realize that sugar is an inflammatory, that really hits home due to my back problems. Maybe limiting my sugar intake will help not only with my overall health, but also give me some back pain relief. So, as for the alternatives, like Stevia, etc, those are okay? What about cane sugar? I have see soft drinks that have cane sugar and I wondered if those were a decent alternative to say having a Coke. Thank you for sharing this, as I said it’s very timely for me. I will take a look at the rest of your site to get some meal ideas as well. I definitely need to look for ways to eliminate some sugar from my diet. Eliminating sugar can definitely help with reducing inflammation in your body. It might help ease your back pain if inflammation is the cause of it. However, you might want to seek doctor’s advice on that. As of the sweeteners, pure extract of stevia, 100% maple syrup and raw honey are all great alternatives to sugar. Though it is recommended to exclude all types of sweeteners for at least 30 days to let your body heal. Cane sugar is a type of ‘raw’ sugar that is still a processed sugar just not as much as white sugar. So answering your question, it is better to avoid it as well.